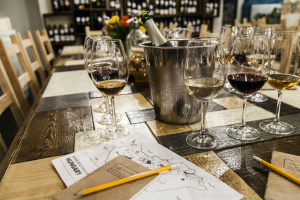 Let us choose three wines for a customized flight! Add a glass of pálinka of your choice to any flight for an additional 900 HUF! A flight includes 2cl of any three spirits … Choose from the list below, or let us choose for you! Ask our sommelier about the current selection of local craft beers! Our wine menu changes frequently to show our 200+ wines. Feel like trying something else? We’ll serve any bottle from our shelves for a 20% surcharge. 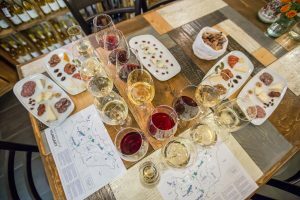 We recommend booking a tasting in advance as space is limited at our communal tables. 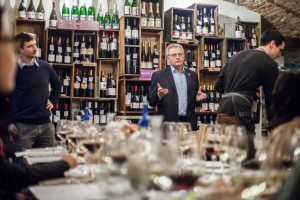 We have Budapest’s largest selection of Tokaji aszú, including many rare and older vintages, and some served by Coravin. Read more about our Tokaj Collection. Prices are in HUF and contain the VAT. They do not include a service fee.